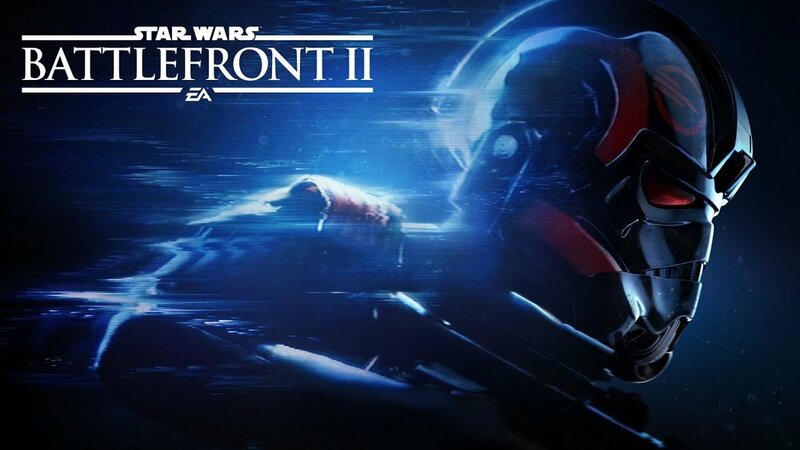 Update: On the eve of Battlefront II's release, EA announced that they were temporarily pulling all microtransactions from the game. A move like this, so close to release, is unprecedented. It's seemingly a big win for gamers everywhere. However, I could caution people from getting to high on this "victory". 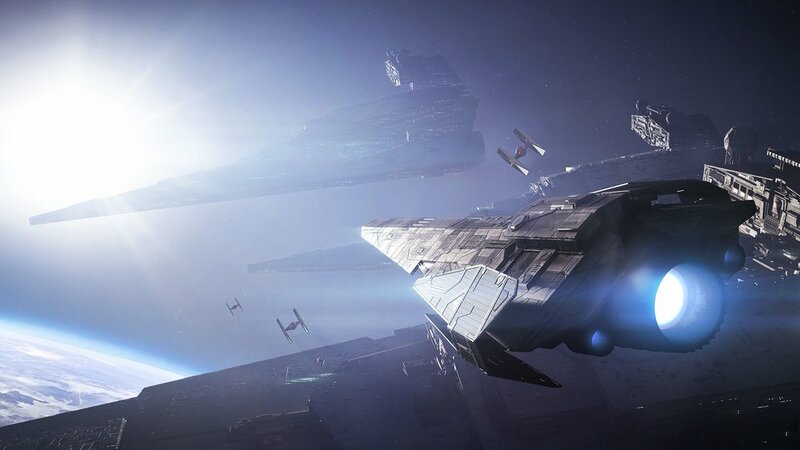 Reports suggest that Disney CEO, Bob Iger, called EA and told them to "fix it" as they were concerned that negative aura surrounding the game was damaging the Star Wars brand. So, yes, the microtransaction were removed, for now, but it appears that it wasn't because of fan outcry. Therefor I stand by the piece below as it was originally written. Star Wars Battlefront II launches to the general public tomorrow and unless you’ve been living under a rock you’ve probably heard about the microtransaction controversy surrounding the game. Essentially EA has implemented a cockamame scheme trying to squeeze every last penny out of Star Wars fans. Without getting into the nitty gritty details, basically what EA has done is implement a “pay to win” system into the core of the game's multiplayer. What makes it worse is that it’s not as straightforward as buying the best weapon to get an advantage. No sir, it’s much more insidious. Instead you pay real money to purchase “loot crates”; a random grab-bag of assorted perks and bonuses. I don’t want to wade into the murky waters of whether these sorts of systems are in fact considered gambling but I will say it definitely feels exploitative and gamers aren’t taking any of this lying down. The thing is, there are countless ways to implement microtransactions, but they are always a tradeoff. Some worse than others. Even the previous Battlefront game used a more traditional method of offering periodical DLC packs with new heroes and maps. This meant that with every subsequent DLC pack you splintered the community. This time, in an effort to keep the community together they announced that every DLC pack would be free. They just conveniently forgot to mention that instead they’d be handicapping the actual experience. EA has seemingly chosen to take the lowest hanging fruit by forcing players to spend money if they want to remain competitive. Instead of trying to implement a more equitable solution they have chosen to allow the game's multiplayer to, by all accounts, devolve into a vicious circle of have and havenots. Those who spend money have an advantage, making those who don’t feel like the only way to get ahead is to spend money until they run into the person who spent even MORE money than them and so on. All the while leaving the players who can’t or won’t hand over more cash left in the lurch. What’s worse is that EA is selling Battlefront II (BF2) at a premium price of $60 US but it’s ALSO using a predatory loot box strategy that is commonly found primarily in free-to-play mobile games. It’s the gaming industry's version of “double dipping”. Gamers are upset and rightfully so. It seems like there’s a new gaming controversy every other week and most of the time it’s nothing more than the gaming community making a mountain out of a molehill, but this time the ire is justified. This has been bubbling under the surface for some time now and it seems like it’s come to a head with BF2. So what’s happening here? First and foremost, people feel like they are being ripped off, but I think there’s a lot more to it than that. There’s also a frustration in helplessly watching the gaming industry as it marches in lockstep with capitalism and seemingly ignores the creative and artistic aspects. I know, for me, it’s painful to see an industry full of people who work hard to make amazing game experiences have their work poisoned by a corporate desire to drive revenue. But what can you do about it? Well your choices are extremely limited, and to make matters worse it’s not clear what message you are even sending depending on your choice. On one hand you can choose to not buy the game at all but then you turn around and see that EA continues to announce record revenues. Who are you really hurting with this choice other than yourself? EA apparently doesn’t miss your purchase. They can make it up on the backend with their microtransactions. It’s amazing how much money a kid with access to their parents’ credit card can spend. So instead you say to yourself “fine, I’ll buy the game but I refuse to spend another penny on it”. A noble choice, but again you’re really only hurting yourself as you struggle against other players who willfully handed over the cash for an advantage. EA might notice that, but they probably don’t care. Again though, what CAN you do? Well you can raise a stink online, and that is clearly been happening. After early estimates of needing over 45,000 hours of play or $2,100 to unlock everything in the game the community came alive and EA backed down some. They lowered the cost of hereos by three quarters while at the same time questioning, but never denying, those original numbers. A small victory I suppose. Unfortunately for many consumers this is their only recourse and things will likely only get more heated as this situation continues. Just look at the recent Reddit AMA (Ask Me Anything) held by a handful of EA developers just the other day. Gamers receiving stock answers for legitimate gripes, which led to the most down voted post in Reddit history. Gamers are frustrated and when they perceive that their complaints are falling on deaf ears it only stokes the flames. The need to monetize every last piece of gaming has become somewhat of an existential crises for the gaming industry as a whole. There’s no easy answer. Unfortunately I feel my cynicism growing every time this sort of thing happens. It feels especially potent this time though. After being excited about this game for years only to have the launch mired in monetization muck, I’m left feeling helpless and at the mercy of a company essentially holding the Star Wars license hostage. The same company that recently closed down an entire studio that had been working on a game simply because what they were making wasn’t conducive to microtransactions. The same company that as soon as they bought the exclusive rights the NFL saw their Madden games languish in mediocrity once they had no competition to push them. Why should I have any faith that this same company will come to realize they are actually harming the same industry in which they operate? They seemed to have completely lost touch with what gamers actually want and have instead leaned into morally hazy methods of squeezing every last dollar from their “fans”. Sure, gaming is a business, but that doesn’t mean we should sacrifice everything that makes games great in the name of the almighty dollar.